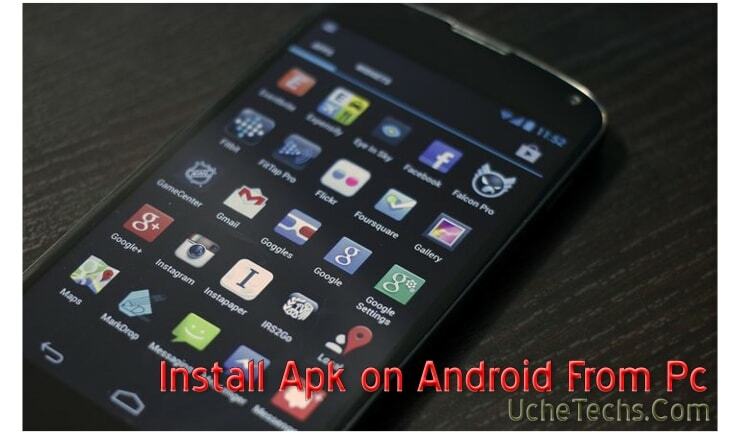 UcheTechs teaches you how to install Apk on Android from Windows Pc using a USB. This is the easiest way to also transfer app from your Pc Computer to your android phone. Using this method, you can transfer any File such as Multimedia like Images and Videos, Files and Folders can also be shared, and any Apk can be installed from your PC without installing it manually on your android device. 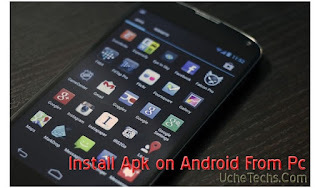 This is how to install Apk on Android from Pc easily. #4 The process must have begun, allow for it to send successfully. - Locate the Android app you sent to your Android using on PC. #5 Click on the Apk. - A confirmation message will appear, asking if you really want to install the file. - Your App is ready for use on your Android phone. This is the easiest process to install Apk files on android from Pc using any USB cable. This process works for all android device, so it should work for yours. Comment below if you have any question.